This is a sponsored conversation written by me on behalf of Ragu. The opinions and text are all mine. Comments submitted may be displayed on other websites owned by the sponsoring brand. 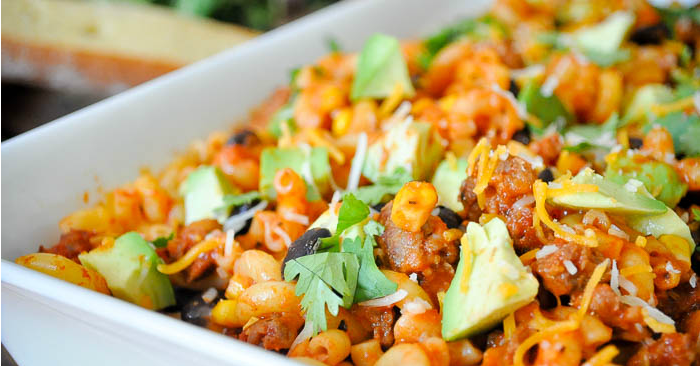 A fun new pasta recipe your family will love – Fiesta Pasta! 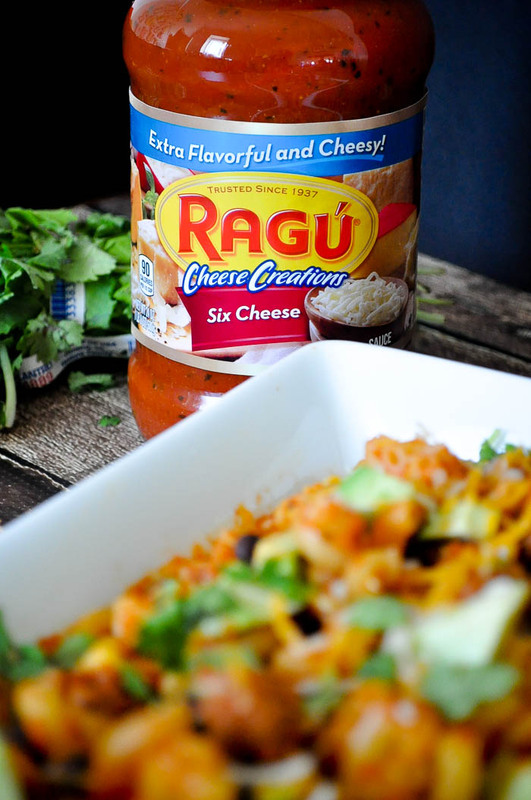 There are certain staples you will always find in my pantry, and Ragu is one of them! I can easily pull together a meal everyone will love if I have a box of pasta and a jar of Ragu. I do feel like I’ve been in a pasta rut though lately. A tasty rut, but a rut none the less. Ready. Set. Cook! – which I will tell you even more about at the end of the post – challenges home cooks to create new and unique recipes featuring a number of ingredients off of a list. 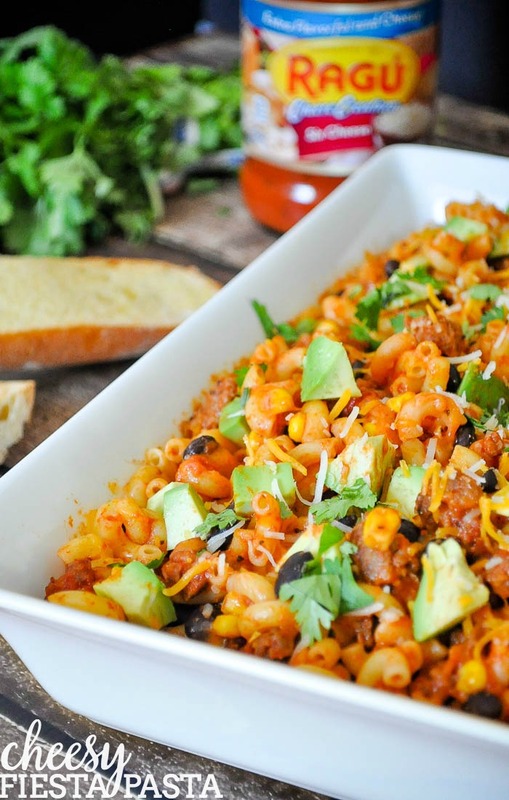 I took the challenge up and created a Cheesy Fiesta Pasta that instantly became a new fave! I will be honest, I was a little nervous about the challenge though. 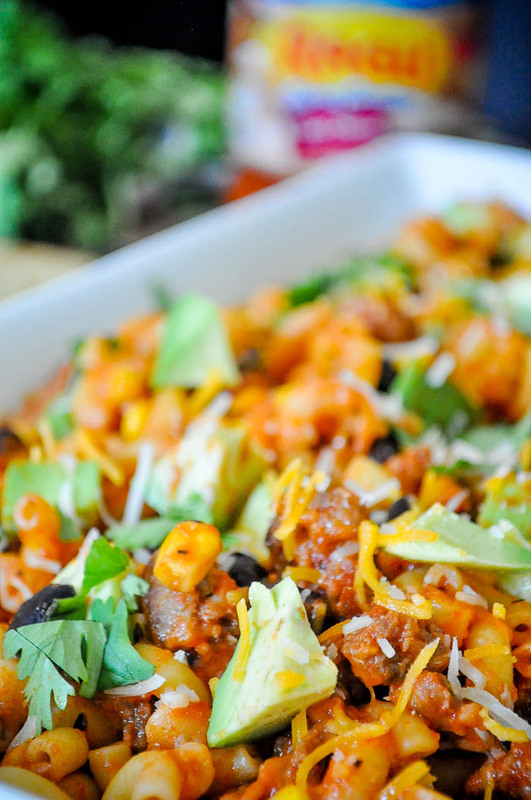 Ragu is an authentic Italian sauce – no artificial flavors or colors – so I wasn’t sure how it would pair in a Mexican-inspired recipe. End result? AMAZING! I took up the Ready. Set. Cook! challenge and so should you! You will create a new and unique recipe featuring a sponsored ingredient, plus a set list of other contest ingredients. Entry phase is between 11/2 and 11/30 so get cooking! The Grand Prize is $3,000! Plus, the runner up will win $1,250 and the People’s Choice will win $750. Read more about the contest here!